The Sikh community in New Zealand has come forward to provide financial support for people affected by the Christchurch shootings and their family members. Within five days of posting an appeal on Facebook, the community collected over NZ$60,000 and has recently donated the entire amount to help the victims. Over NZ$10 million have been raised for victims of the Christchurch terror attacks across three major fundraisers, as New Zealand mourned the most horrific massacre in its history. The Sikh community also rallied together to raise more than NZ$60,000 for victims of the Christchurch mosque shootings. This fundraiser was initiated by Auckland-based Jaspreet Singh with the support of Sikh Supreme Society on 16 March. Mr Singh had made an appeal to the local community to assist the victims of Christchurch mosque shootings through this fundraiser on Facebook. $60,458 NZD were raised by the Sikh community (Facebook screenshot). The fundraiser stated - “Our hopes, prayers and practical help go out to each and every victim, bystander or loved one affected. " 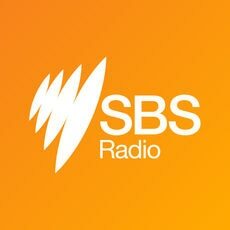 Mr Singh told SBS Punjabi that a collection of NZ$60,458 surpassed the initial goal of NZ$50,000 within just five days of setting this fundraiser. “We’re very thankful to the people who have made financial contributions,” he said. “All fundraising proceeds will be distributed to the grieving families by the Federation of the Islamic Associations of New Zealand (FIANZ). They’ll direct these funds toward the immediate and long-term needs of the victims. The funds were raised with the help of over 1600 donations. Mr Singh told SBS that they’ve handed over NZ$57,723 to the Supreme Sikh Society after Facebook tax deducted an amount of NZ$2,735 from the total collection. “Daljit Singh from Supreme Sikh Society is in touch with FIANZ in this regard. We’re now liaising with Police and FIANZ to establish the best way of sending funds to the affected people,” he said. SBS Punjabi has contacted FIANZ, the national body of Muslims in New Zealand, for their comments. A grant worth half a million dollars from the Australian government will help establish a Gurdwara (Sikh Temple) and community centre in Melbourne’s southeast. A $120,000 event grant from the Australian government will go towards the staging of the 32nd Annual Australian Sikh Games to be held in Melbourne this year. NSW Government has committed a grant of $20,000 to the Gurdwara Singh Sabha Society, Griffith to help support funds for the annual Sikh games event also known as the Shaheedi Tournament.